← West Cornwall DFAS members sent to Coventry! 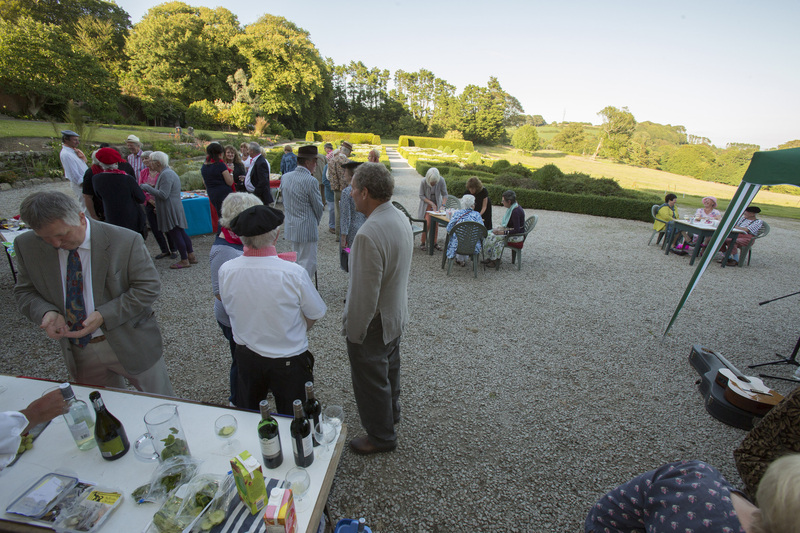 Our lecture on Gertrude Stein in the early part of this year’s season proved the inspiration for this year’s West Cornwall DFAS summer drinks party. 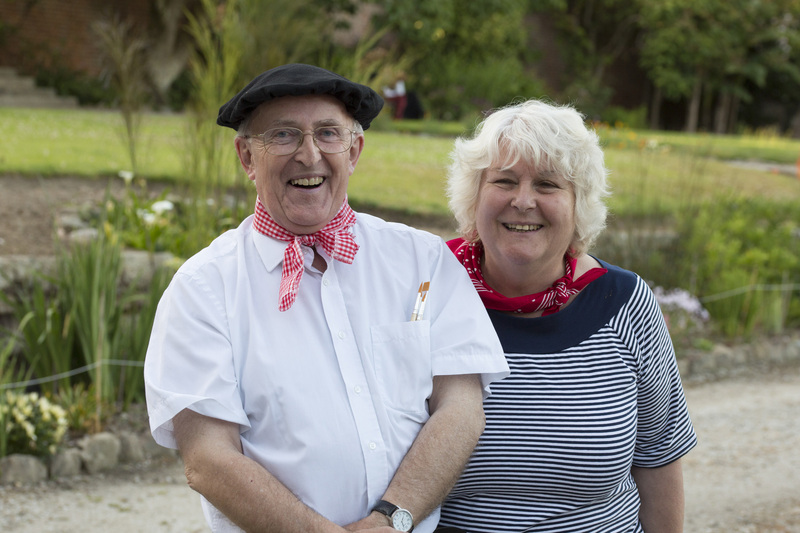 Fifty or so members took up to the invitation to spend ‘An Evening in Montmartre’, some of them taking the suggestion to dress appropriately very seriously indeed. There were a number of Gallic onion sellers, art patrons and models present and the fancy dress shops must have seen a run on feather boas! We were picking up loose feathers from the terrace at Trereife all evening. the Newlyn Cheese shop. 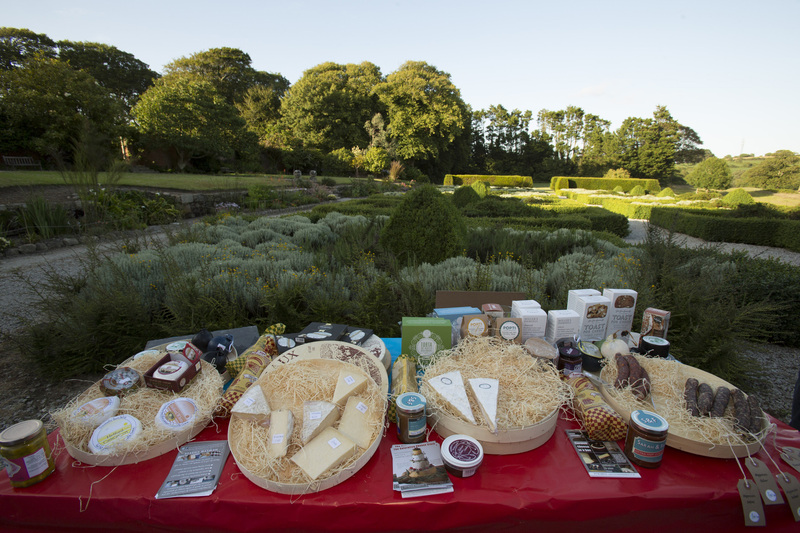 They also set up a small stall to sell their delicious wares and members took the opportunity to stock up on quantities of Comté and other French cheeses. 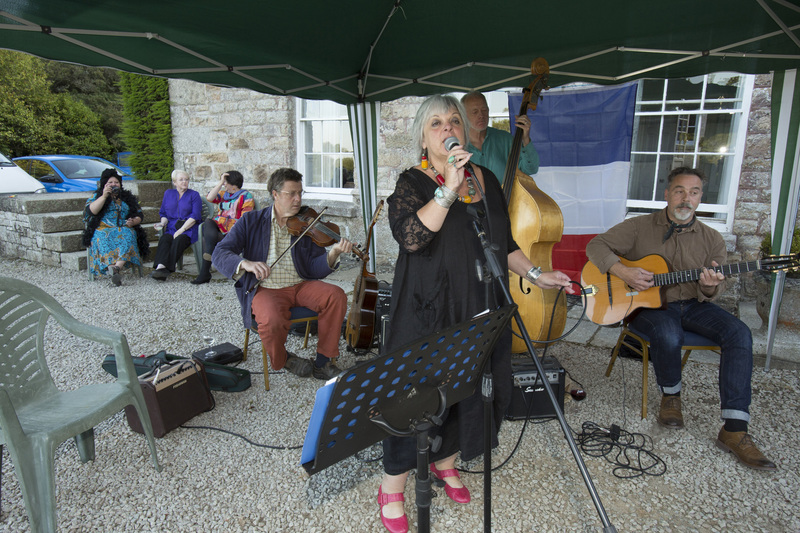 Music was again provided by La Roulotte, whose selections of French café songs introduced just the right atmosphere. 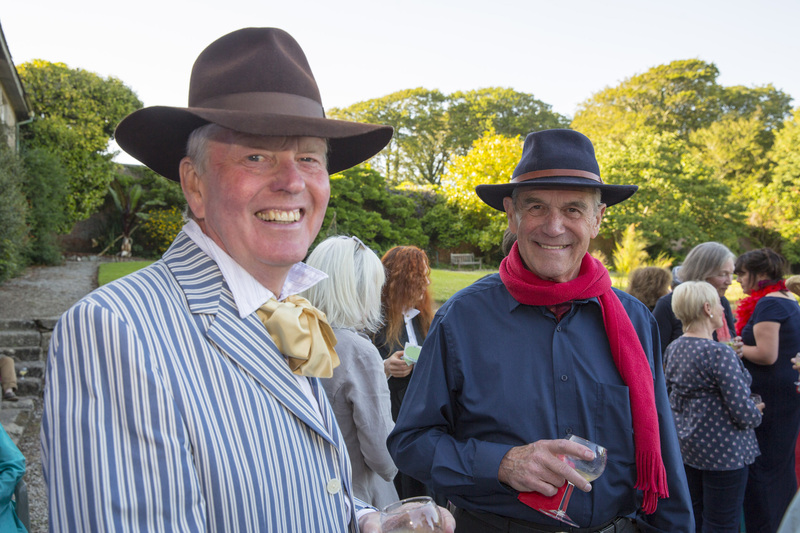 As ever, the star of the show were the enchanting gardens at Trereife and West Cornwall DFAS owes so much to Liz and Tim Le Grice for their continuing support for what has become the highlight of the West Cornwall DFAS social calendar. Many thanks also to Peter Le Grice for letting us trespass on the territory of his B&B guests. We hope they enjoyed the music as much as we did! Click here to see more photos of the night. All photos by Simon Cook Photography.